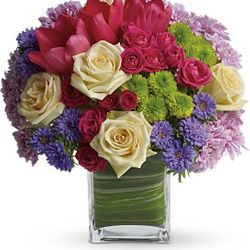 Click Here to Order From Our Flower Shop. 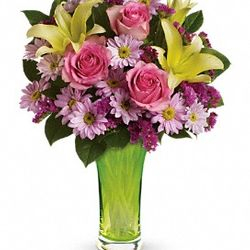 We have a full service floral shop that can take care of all of your floral needs. 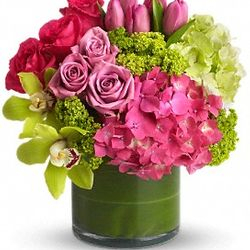 All of our designers have gone through professional floral design schools. 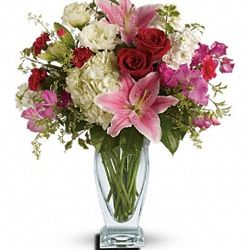 We are members of both FTD and Teleflora wire services which means we can send flowers all over the world. 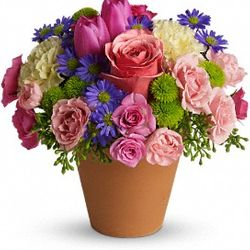 We are also members of The Society of American Florists. 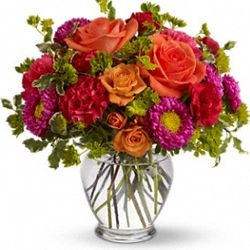 Our floral designers have a combined 60+ years of experience. We can design flowers for any occasions including birthdays, new babys, get well, congratulations, thinking of you, weddings and sympathy. 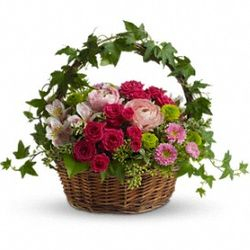 We carry helium balloons, dish gardens, corsages, boutonnieres, fruit and gourmet baskets, blooming plants and dish gardens. 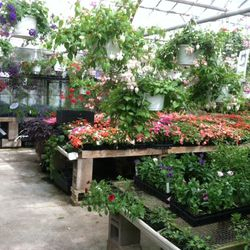 Our garden center is open year round and has all your planting needs. We always stock house and blooming plants. 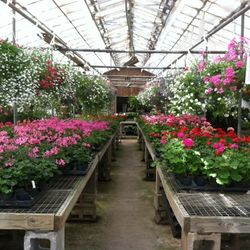 We grow annuals, perennials and vegetable plants for spring. 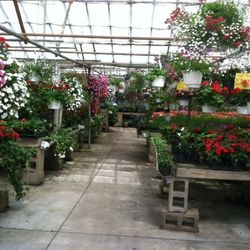 We have hanging baskets, patio pots, hayracks and other misc. containers planted and ready for you to take home. We can also pot your containers and hayracks for you to compliment your plantings at home. 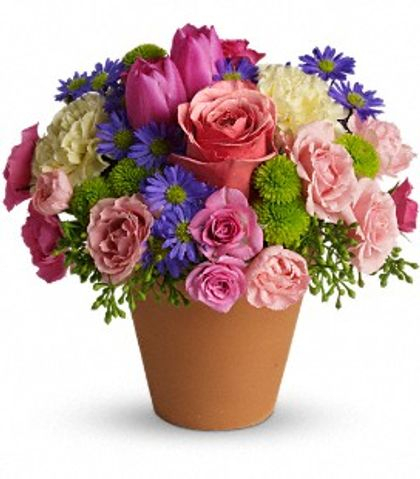 We grow blooming bulbs, Easter lilies, hardy mums, poinsettias and other seasonal plants. We carry a variety of fresh cut evergreen wreaths, swags and roping for decorating at the holidays. We design custom built centerpieces, wreaths, boxwood trees, kissing balls, etc..
Our friendly and knoweldgable staff will be happy to assist you with your gardening needs.